The View Extender customization adds auto numbering functionality for Sage 300 I/C Items and A/P Vendors. I/C Item and A/P Vendor Numbers are auto generated when the New icon is selected on the corresponding screens. 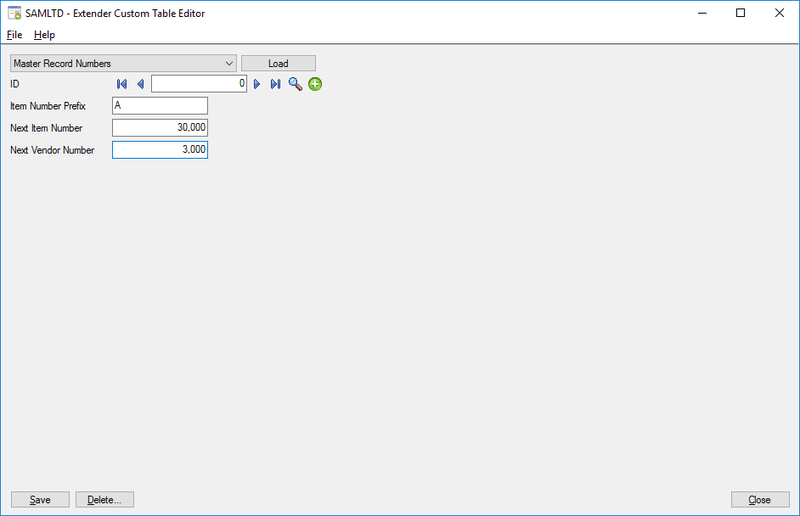 A custom table is created where it is possible to track the next auto-generated I/C Item and A/P Vendor Numbers.